Officers will get an understanding of the impact Alzheimer’s and other dementias may have on individuals and the risk this poses for the potential of becoming lost in the community on foot, in a car or via public transportation. In addition tactics and procedures utilized from this training will optimize the opportunity to locate missing persons. Since 2000, opioid‐related deaths have increased in Massachusetts by 350%. This training program will address the police response to this unprecedented public health crisis. In addition, we will review the Department of Public Health’s comprehensive opioid overdose response to this crisis, M.G.L. Ch. 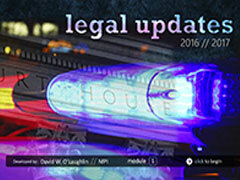 123 s.35, the judicial process involved in an involuntary commitment and much more. 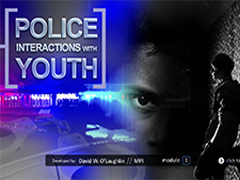 Law enforcement’s interaction with youth is an integral part of carrying out policing duties. In this training, we’ll look at teenagers and brain development, typical adolescent behavior and how fair and impartial police interactions with these adolescents can make your job a whole lot easier. 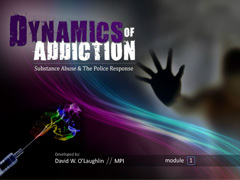 In addition, we’ll look at the “Montreal Study”, and the “Peer Contagion Effect.” This training initiative has been designed to address these issues and provide you with some methodology to help you operate in the complex world of adolescents and the police. In this training program, we will address a multitude of issues including motor vehicle law, field encounters and detentions, search and seizure and many other criminal law developments. We will also examine some new legislation such as the Opioid Bill, the Transgender Bill and the Stolen Valor Act. We’ll look at cases surrounding interviews, interrogation and Miranda, as well as stop and frisk, exigent circumstances and exceptions to the search warrant. This training program will revisit some of core principles involved in the use of force by police officers: The Massachusetts Use of Force Model, The Totality Triangle, The Force Continuum and De-Escalation. In addition, we will look at “Public Perception” and how it affects 21st century policing. This MPI First Responder Training Program will address a multitude of emergency care issues including pediatric emergencies and childbirth. We will revisit the Massachusetts Naloxone program and look at a video pertaining to the proper use and administration of the EpiPen.